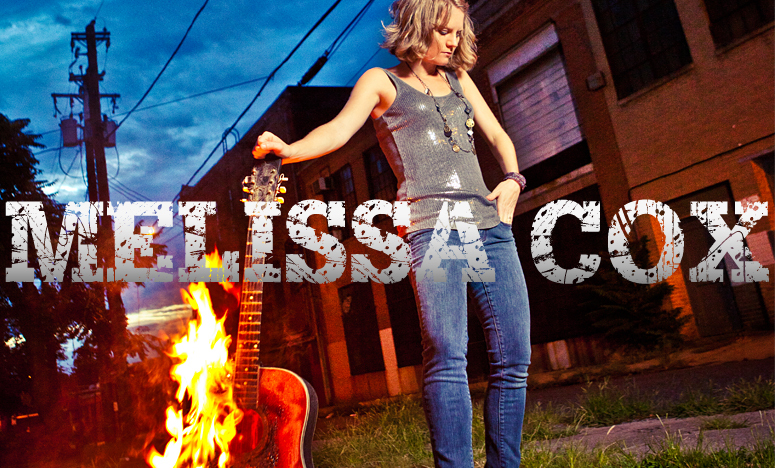 Melissa Cox Cox is an award-winning songwriter, guitarist, mandolin and ukulele player with eight albums and 100,000+ tour miles under her belt, including multiple tours of the continental U.S., three tours of Hawaii and one of New Zealand. 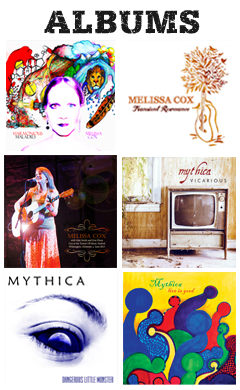 At the heart of Melissa's music, you will find classic rock and folk from the 60s and 70s. "Some kids rode around in the car seat listening to Sesame Street songs. My mom had the radio auto-set to classic rock stations. By the time I was three, I knew all the words by Zeppelin, Fleetwood Mac, and Simon and Garfunkel." Upon that folk and classic rock foundation, Melissa, supported by her backup band or her BOSS vocal looping pedal, infuses her own New Age / World style, adding overtones of Celtic, Hawaiian, electronic, newgrass and classical. Her voice has been described as sounding like “a cross between Loreena McKennitt and Jefferson Airplane’s Grace Slick” (Sing Out! Magazine). With a belt as impressive as her falsetto, the classically trained singer jolts audiences to attention with her power ballads (“Courage”, “Vicarious”), sooths them with a haunting neo-classical Latin aria (“Valedico”), and evokes eruptions of laughter with her dry wit and tongue-in-cheek humor (“To Carrie Fisher, with love”). She has shared the stage with the Spin Doctors, Sister Hazel, Smash Mouth, Three Dog Night, Cyril Neville, Catie Curtis and many others, and has headlined several of the largest festivals and events in the U.S., including the Hawaiian Scottish Festival, the Denver Rock ‘n’ Roll Marathon, D.C.’s Live! on Woodrow Wilson Plaza series, and hundreds more. She has also made appearances on 88.5 WXPN Philadelphia, 93.7 FM WSTW, and CBS/NBC TV Hawaii, among many others. A true independent artist (and proud of it), Cox self-published her seven albums and two music videos. Her two latest albums, Transient Resonance (live LP) and Harmonious Maladies (studio LP) were released independently with the support of her fans through Kickstarter and showcases not only her musical and writing talents, but also her abilities as a producer and sound engineer. Cox’s other albums include Dangerous Little Monster (2006), Vicarious (2007), and Live is Good (2009), which were all released with her Neo-Celtic band Mythica. She also has two earlier solo albums, Aurophobia and Goddess.